This morning, all of Boston's music industry woke and went straight to the Boston Music Awards site to see who the nominees were for this year's awards. We are honored to have been nominated for Live Artist of the Year and Rock Artist of the Year! You can hear the cry from the streets, "VOTE FOR VIVA VIVA!" Please go and exercise your right to VOTE! Then go see the awards show Sun Dec 5 at the Liberty Hotel. 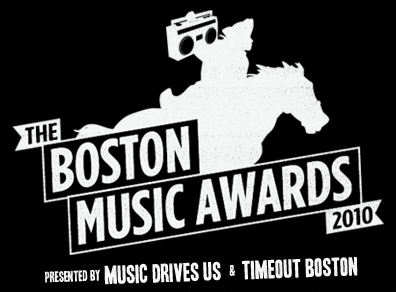 Ticket and hotel info is on the Boston Music Awards site. Thank you to all those on the nominating committee, and to you, our fans, for voting and getting the word out that VIVA VIVA! is the best Rock band in this here city!